The mandatory use of high-security bolt container seals for the transport of goods in accordance with international carrier and regulatory requirements (ISO PAS 17712). View our introductory guide to sea freight transport, including service options and rates. What Is A Container Seal? 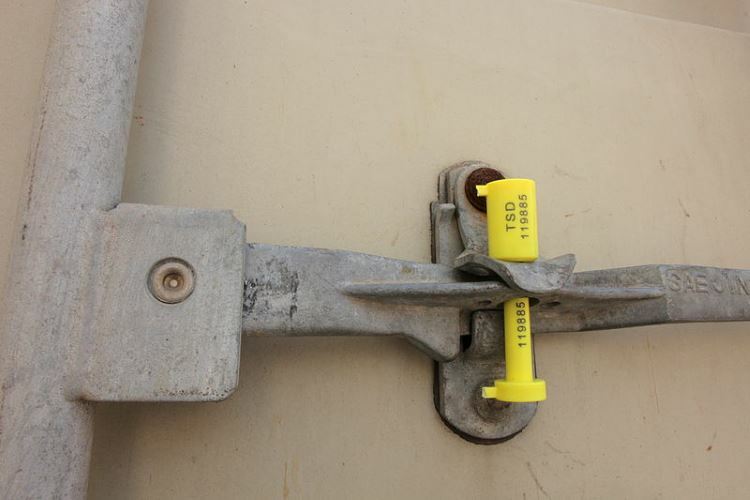 A container seal is a high-security bolt lock, that is placed on the door of a shipping container to secure cargo and minimise the risk of unauthorised access. An anti-tamper mechanism, it is designed to only be used once, verifying contents is free from alteration, theft and contamination while in transit. When Do I Use A Container Seal? The shipper is responsible for sealing a container, which must occur prior to loading on a vessel for coastal or international transport. This is typically completed immediately after stuffing, but can be arranged by the carrier upon receipt. Why Do I Need A Container Seal? In an effort to protect cargo from theft, terrorism, illegal immigration and smuggling, regulatory agencies and carriers require all shipping containers are sealed in accordance with ISO PAS 17712 specifications. This is a mandatory requirement for all New Zealand coastal and international shipments. ISO PAS 17712 compliant container seals have a unique serial number, which must be recorded on all associated and applicable transport documents (i.e. shipping instruction, bill of lading, phytosanitary and fumigation certificates, etc.). This should be completed only after a container is securely packed and sealed. Where Can I Get A Container Seal? Container seals are available for purchase from third-party suppliers, carriers and all good freight forwarders.